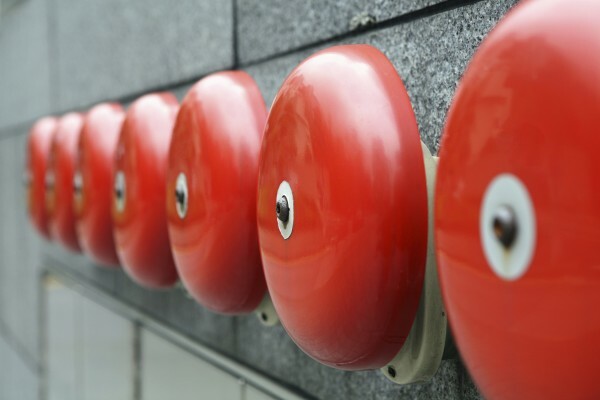 As fully accredited fire experts, we provide comprehensive design and installation services for fire alarm systems and other related fire safety systems such as Smoke Ventilation systems. We can also include your regulatory periodical full emergency lighting testing with our fire alarm maintenance agreements. It is essential to install and maintain fire alarm systems to the current relevant Code of Practice, to protect your property and save lives. Unlike security systems, the requirements and design for a fire alarm system is usually driven by the nominated fire safety risk assessor. The assessor will identify the areas to be covered and provide a design brief in the form of a categorisation code. Using this categorisation, Fidelity Integrated are fully accredited by BAFE to provide full certification for all four stages of professional design and implementation of your fire alarm installation project: design, installation, commissioning and verification. We review and refresh our training for designers, installers and commissioning engineers throughout the year as part of our Quality Management Systems and work closely with the Fire Industry Association to make sure we are always up to date with regulatory changes. We provide installation and Alarm Receiving Centre services to remotely monitor your fire alarm system via the BT Redcare network which is usually the preferred method of insurers. Plans are being laid by the fire service to instigate a similar scheme to that of intruder alarms whereby a Unique Reference Number (URN) must be registered to the building before the emergency services will attend upon a fire alarm activation. Only installers with BAFE accreditation or similar will be able to apply for and register the URN. As part of our comprehensive fire system service, we can also install and maintain automatic opening ventilation systems for smoke egress purposes. These systems are usually designed and installed during building construction or as part of a major refurbishment project. They are therefore usually designed by the incumbent architect in line with current building Control requirements. We can design and install the systems to any design brief and we can also take over the maintenance of any existing smoke vent system. Contact us to discuss you risk assessment report or any other system requirements. Based in South East London, we provide commercial businesses and residential estate managers from across Central London and the Home Counties with the finest bespoke security and fire system design, supply and installation. Many of our clients have Head offices in London, Kent, Essex, Hertfordshire, Buckinghamshire, Berkshire and Surrey with systems integrated and networked across both the UK and the rest of Europe to their satellite offices and operational centres.